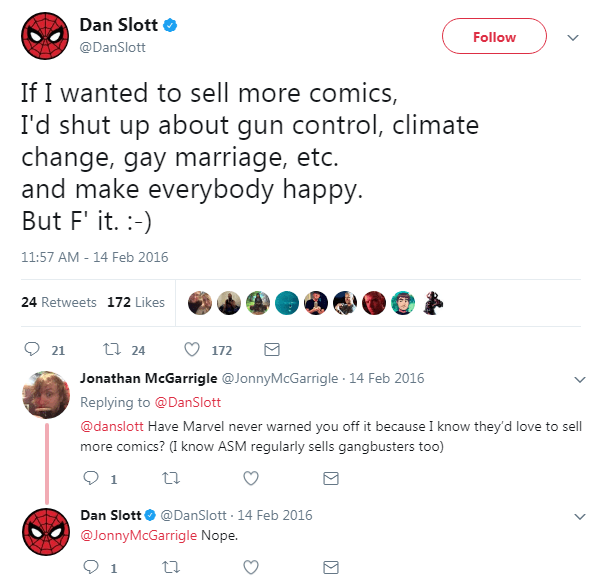 ComicsGate (or #ComicsGate) is an online movement promoting the idea that the comic book industry (as mainly represented by publishers Marvel and DC) is overly saturated in promoting political messaging that is meant to appeal explicitly to only one demographic that is not interested in the medium, to the detriment of the existing consumer base and the industry as a whole. It also addresses the lack of professionalism, inclusivity, objectivity and accountability of the publishers and their employees (i.e. management, editors, writers, artists, etc.) when dealing directly with the customers. 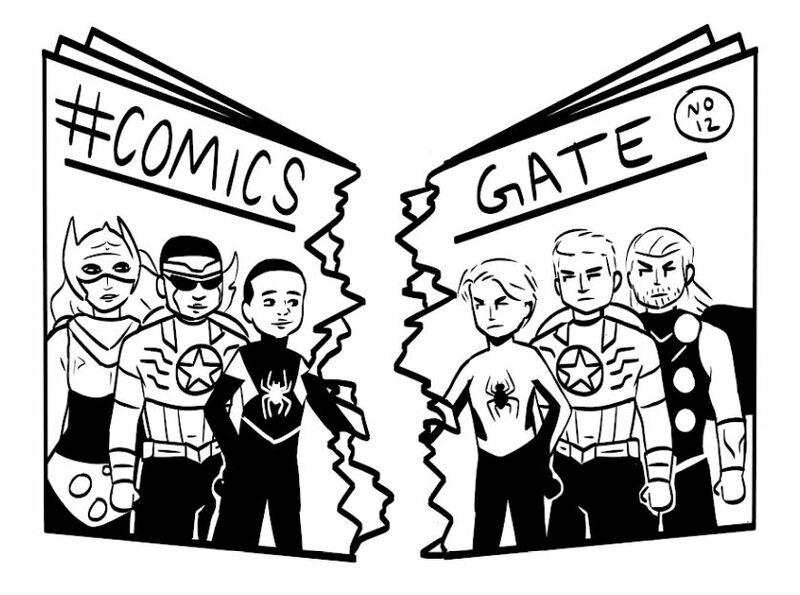 ComicsGate focuses mainly on the superhero genre, especially those superhero books put out by industry giants Marvel and DC, but has less to say about the wider spectrum of comic book styles. While people participating in the campaign will occasionally issue complaints about smaller, independent comic books, those titles tend to go unmentioned probably due to their lower sales numbers and smaller target audience. 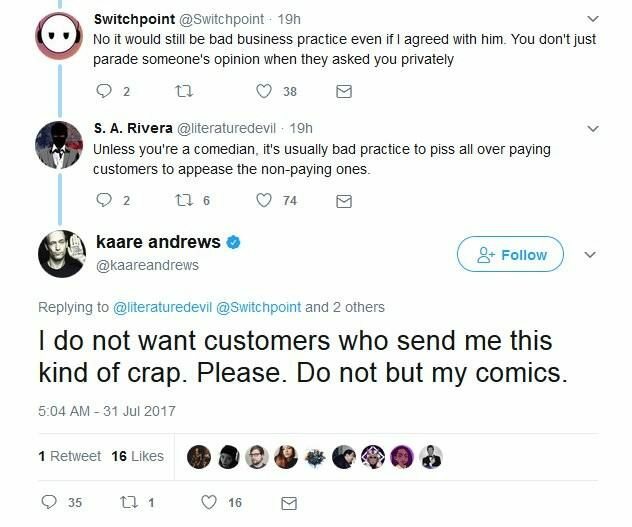 ComicsGate participants (which includes some industry professionals) focus on what they consider to be examples of writers and artists who they claim have been coerced to toe their company’s political line, or conversely, who they feel promote far-left politics un-organically and exclusively in their comic story lines. As the campaign is made up of customers and fans with various political beliefs across the spectrum of all races, colors, creeds, genders, identities, and backgrounds, ComicsGate participants assert that the movement itself is apolitical and for everyone who loves the industry of comics. 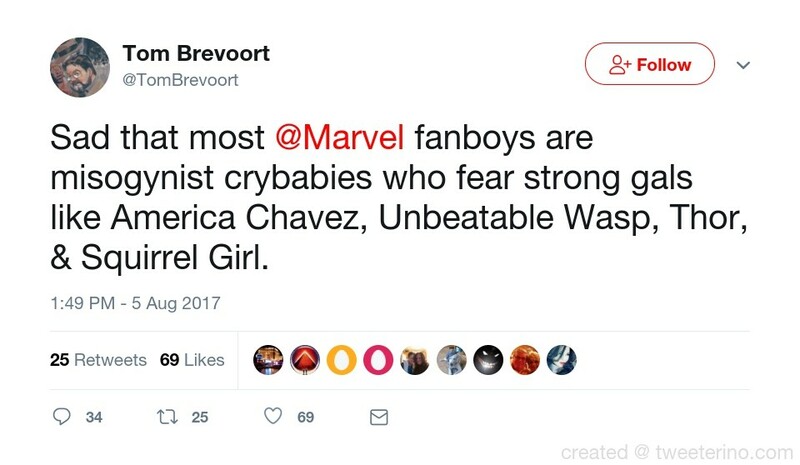 Participants in ComicsGate sometimes portray their effort as a “consumer revolt”. 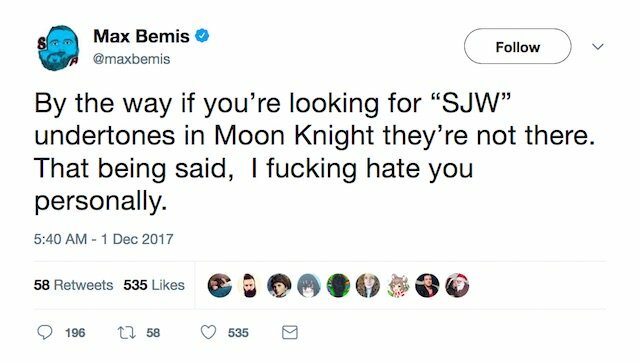 However, there is inconclusive evidence that the response from the companies they wish to affect has been successful, or that ComicsGate has been able to persuade those companies to change their hiring or creative decisions in significant ways. ComicsGate has not, so far, organized any formal boycott against the companies or creators that they dislike. ComicsGate takes its name from GamerGate, an online campaign by video game fans begun around 2014 which had as its goal honesty and integrity in games journalism and a pushback against perceived political correctness in video game publishing and journalism which was overshadowed by multiple media outlets reporting this as nothing more than online harassment by a vocal minority, aka “trolls”. 1. The adoption of art styles influenced exclusively by Progressive politics, a heavy emphasis on identity politics & by the awkward, stilted injection of said political messages into stories regardless of whether context demands it or not. 2. The hiring of people based purely on their surface traits and “oppressed demographic” status (Women, Minorities, LGBTQ) rather than hiring based on merit & affinity for craft. 3. The change or outright replacement of beloved classic characters in the interest of shallow appeasement, supposedly in the name of progress instead of creating new characters for this end (race, sexuality, gender). 4. The elitist attitude & purge of anything that is Not Progressive under the mantra of “not progressive enough” (Hatred for U.S. President Trump and anyone, fan or creator, who supports the President, for example). 5. The rejection of honest criticism of publishers or creators, swept aside as harassment or discrimination.